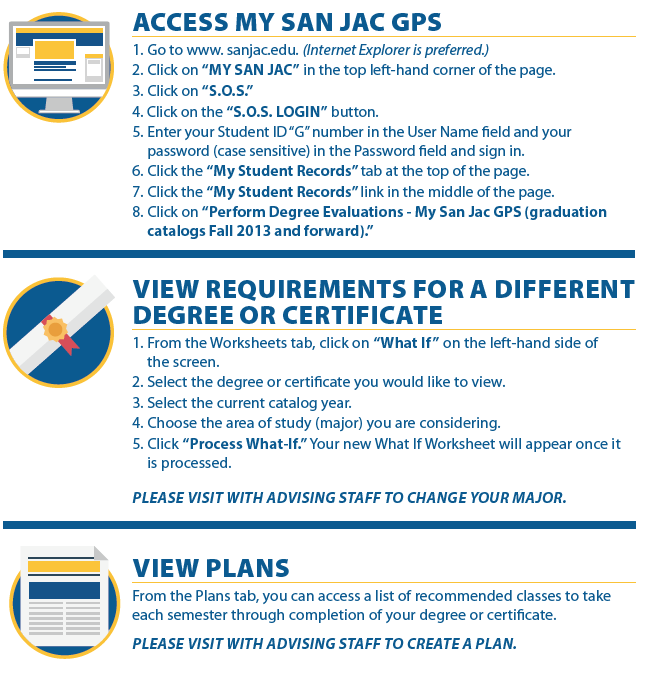 My San Jac GPS (Graduation Plan Strategy) is a free, web-based application allowing students to track their academic progress toward degree completion, view how evaluated transfer credits and/or coursework meet program requirements, construct “What-If” scenarios when considering program changes, and view plans built with advisors that map out classes through completion of the student’s credential. The system is designed to aid and facilitate academic advising, but it is not intended to replace face-to-face advising sessions. 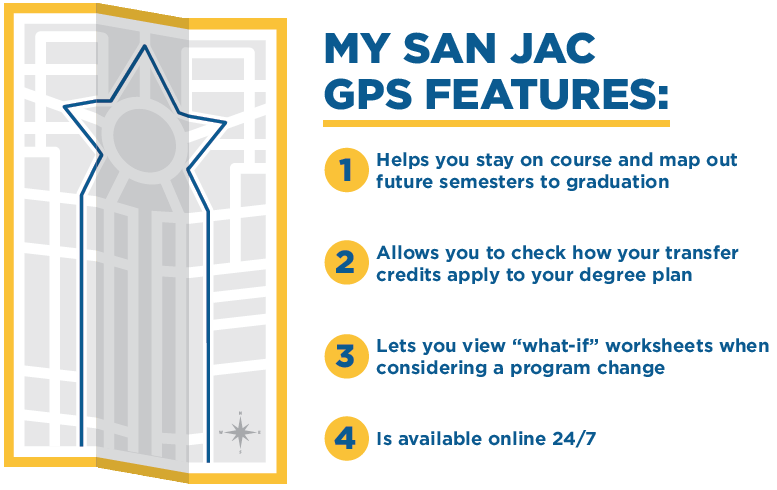 My San Jac GPS is available to all SJC credit students. To access the system, students should log into their S.O.S. account and navigate to their My Student Records links. For immediate assistance over the phone, contact the SJC Help Desk. If you experience technical issues with the My San Jac GPS system, please contact TechSupport.